Clearance!! 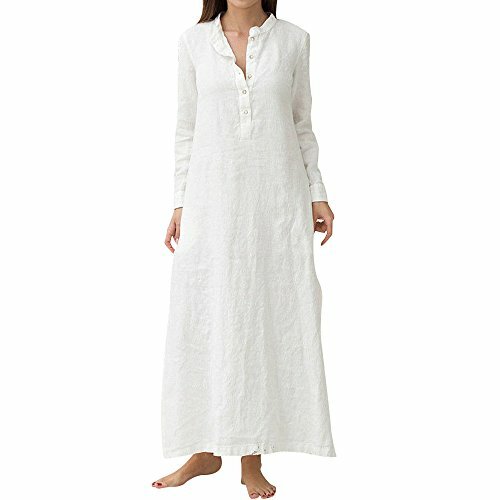 Womens Dresses,Kaftan Cotton Linen Long Sleeve Plain Casual Elegant Oversized Maxi Shirt Dress Plus Size S-3XL (White, Medium/US:6) by Cealu at SCRHI. MPN: CE-03. Hurry! Limited time offer. Offer valid only while supplies last. Please check the Size Chart before order. If you are not sure the size, please send message to us.